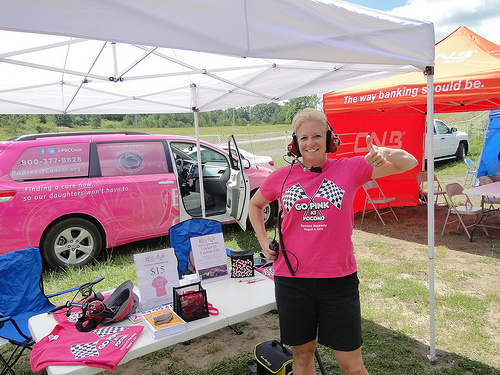 Go Pink At Pocono tee-shirts now available! Posted By Jennifer on June 27th, 2012 at 11:58 am | 687 comments. Did you know the PA Breast Cancer Coalition is heading to the Pocono Raceway this August? Get your Go Pink at Pocono tee-shirt today and show your support for breast cancer awareness and this one-of-a-kind event!